Below specification list is a raport from the latest version of AIDA64. It shows all details about the drive and its features. 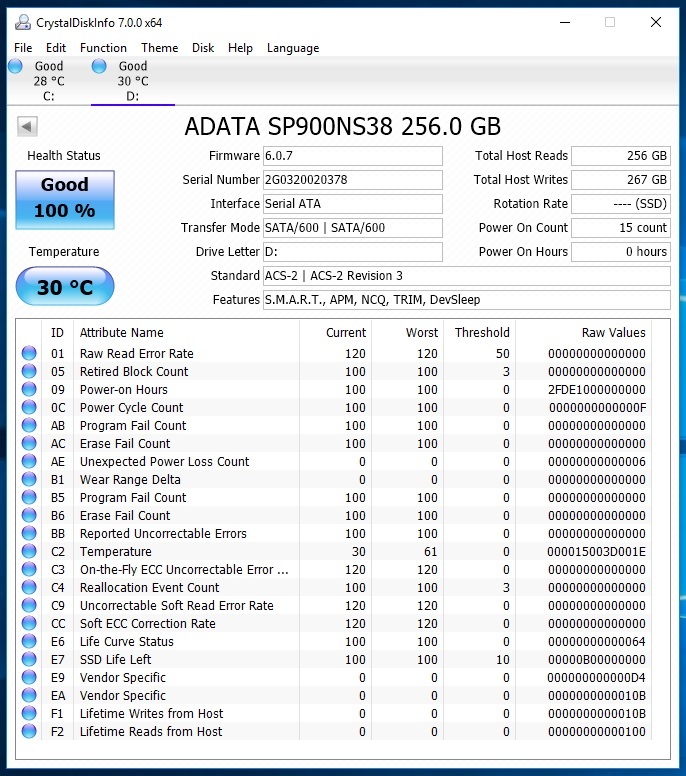 I think that above list from AIDA64 is covering whole specification and what you wish to know about the SP900 M.2 SSD. I will focus on the things you may not find on the list and the drive design. 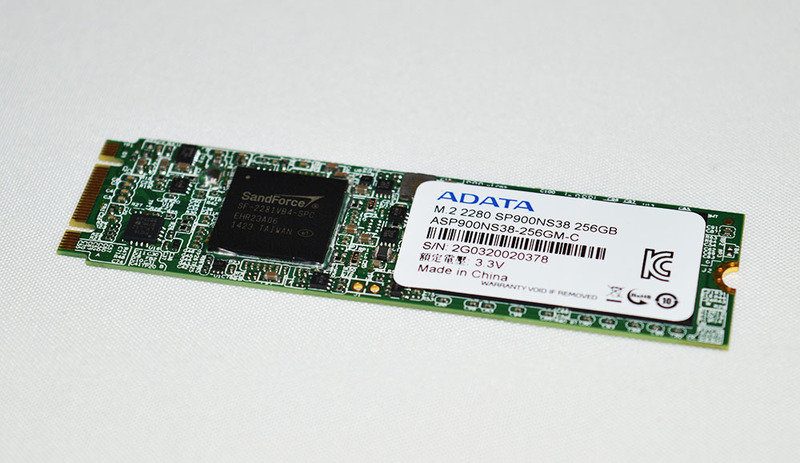 ADATA SP900 M.2 SSD is covered by three year warranty what is quite common for this type of drives. Additionally SP900 is based on improved firmware so you can expect better performance than on competitive SSD which are using LSI SandForce SF-2281 controller. NAND is made by Micron in 25nm technology. Below is screenshot from CrystalDiskInfo where you see that our review sample is in perfect condition. Package of SP900 SSD is typical for this kind of products. It’s a small box with transparent “window” so we can see the product if we wish to purchase it from a retail store. ADATA SP900 is popular series which we can find in probably all bigger stores with computer components and general electronics. Inside the package we won’t find much. There is only SSD but it’s what we were expecting to find there. ADATA SP900 doesn’t need any additional software or drivers. Simply install it in your laptop or desktop with M.2 socket and it will work. 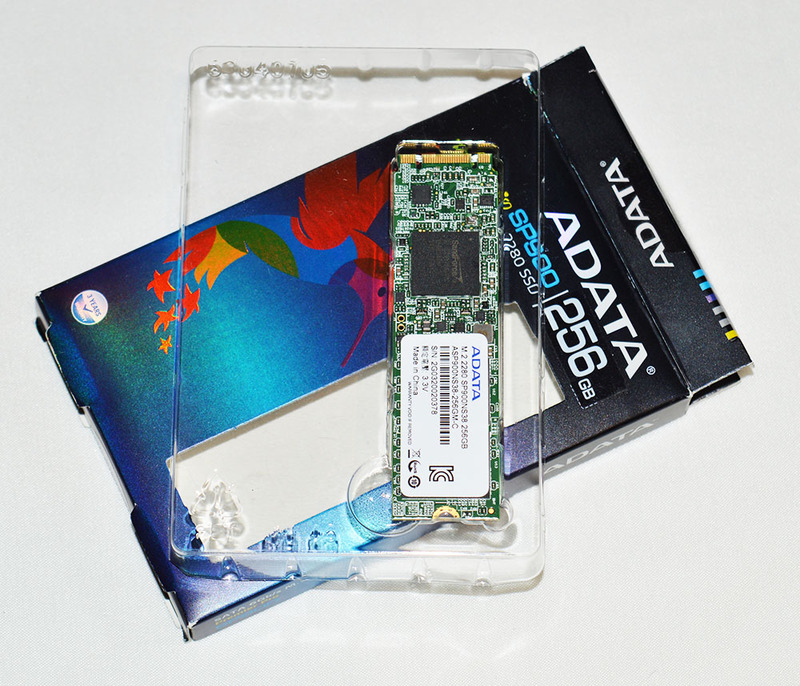 Reviewed drive has 256GB capacity what isn’t much but is more than enough for most users. 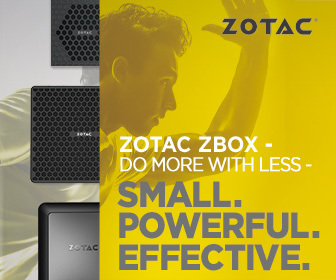 This product is dedicated to laptop users who wish to upgrade their slow HDD and for that it’s perfect. Personally I know many users who don’t need much more than 100-150GB space on their drives but standard HDD are too slow for them. For these users ADATA SP900 can be the answer. 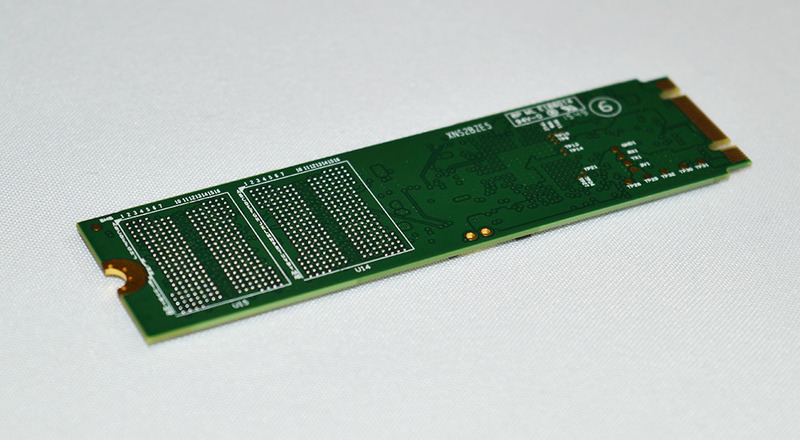 Nearly all chips are located on the front side of the PCB. On the back (as we see on above photos) is only space for two more chips as the same PCB is used also for 512GB version of SP900. Simple but functional design that fits all laptops with M.2 slot.